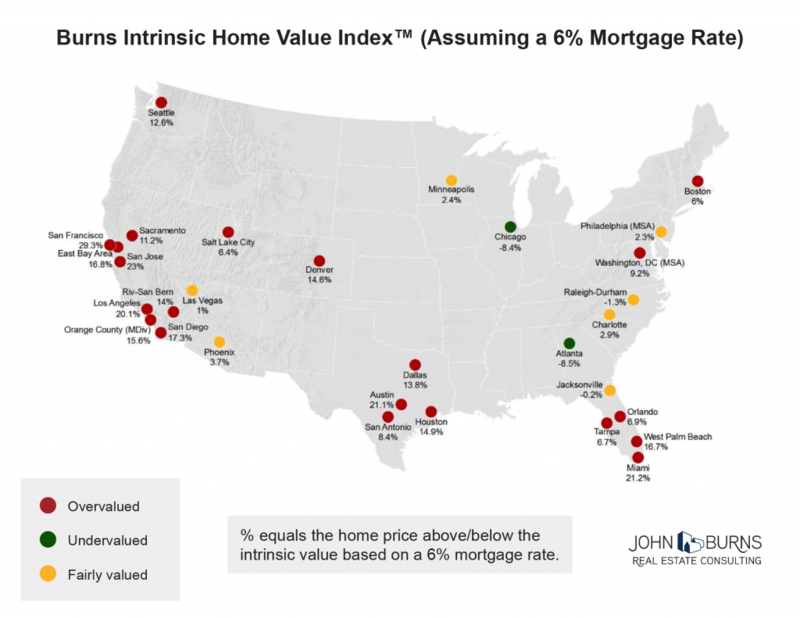 Intrinsic Home Values: Is Your Market Over- or Underpriced? Is your market over- or underpriced? Here is a map of our over/underpriced conclusions today. We explain our methodology and the opportunities this creates below. To answer this question for our clients, we have studied the ratio of housing costs / income over time in every major market in the country, considering everything we know about each market to determine what the long-term ratio of housing costs / income should be. We call this the Intrinsic ratio, named after the investment concept of intrinsic value that has long been trumpeted by Warren Buffett and many other long-term investors. 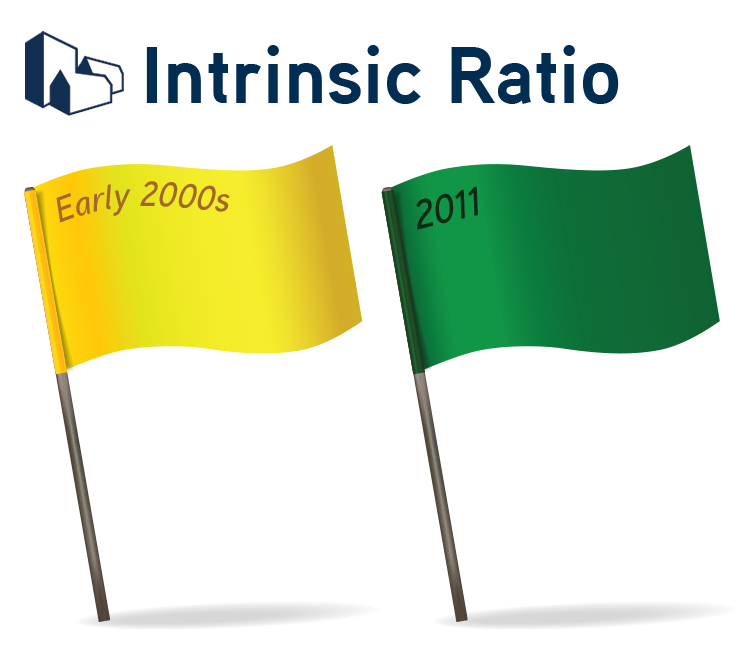 The Intrinsic ratio helped us wave a yellow flag in the early 2000s and a green flag in 2011. 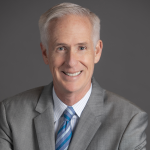 Intrinsic value estimates require a long-term view with long-term assumptions, and our industry’s biggest assumption is what the long-term mortgage rate will be. We use 6.0%, which is lower than the historical average but much higher than today. Our goal is not to help consumers with the buy decision, nor to help short-term investors. Intrinsic value analysis is designed to help long-term investors, such as those buying land to build a new home community or those investing in building products companies. Even if we conclude that homes are overpriced today assuming a 6.0% mortgage rate, the interest rate savings could still make it a great investment for a consumer. San Francisco, CA has become permanently more expensive over time as it grew its economy and desirability and became much more supply-constrained. Detroit, MI has become permanently less expensive over time as demand has fallen, most obviously evidenced by a declining population. Our Intrinsic ratio conclusions range from a low of 15.0% in Detroit to a high of 65.0% in San Francisco. That means that over the long term the median-income household in the Detroit metro area should be able to buy the median-priced home using only 15% of their monthly income to pay for the mortgage, mortgage insurance, and property taxes*. Not surprisingly, homeownership is much higher in the Detroit metro market than in the San Francisco Bay Area, and the median-income household in the Bay Area cannot qualify to purchase the median-priced home. The following chart shows the Intrinsic housing costs / income ratio for many of the major markets in the country. 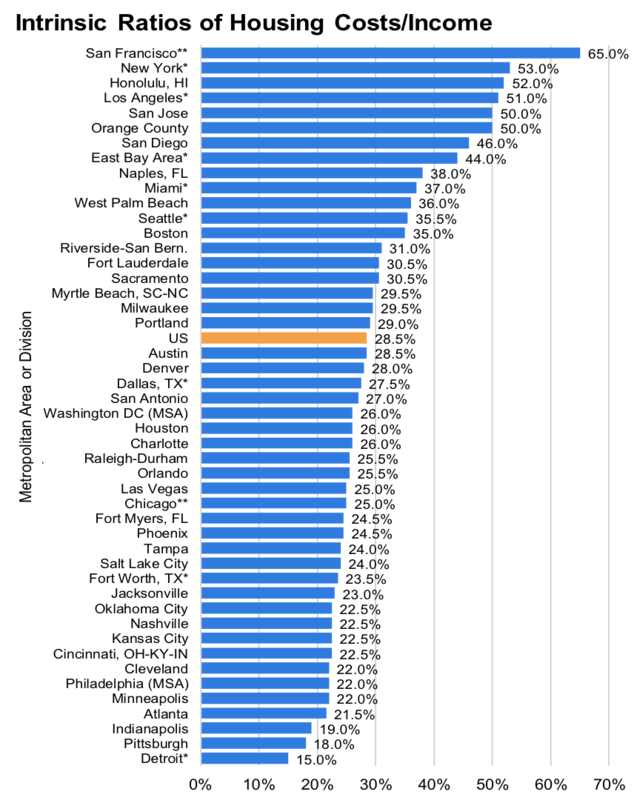 Changing the definition of housing costs will change the percentages but not the conclusions nor the rankings from most expensive to least expensive. This is just one of many tools we use to help business executives make informed decisions. In past cycles, plenty of money was made after housing became overly expensive, and plenty of money was also lost, but the companies who had structured their balance sheet and joint ventures appropriately for the high risk stage of the cycle weathered the storm best, and took advantage of the downturn. Opportunities abound.